No-busywork ebook curriculum from 20+ year veteran homeschool moms! Homeschool high schoolers must have a strong transcript but teens often feel like their solid transcript-driven core courses do not prepare them for real life. You can find all THREE Preparing for Independence subjects included TODAY in our newly released Preparing for Independence Bundle! Download Preparing for Independence today and set your homeschool high schooler on the road to a great stewardship of faith, finances and future! This Bundle is delivered as 16 .pdf files conveniently “zipped” together for easy downloading. 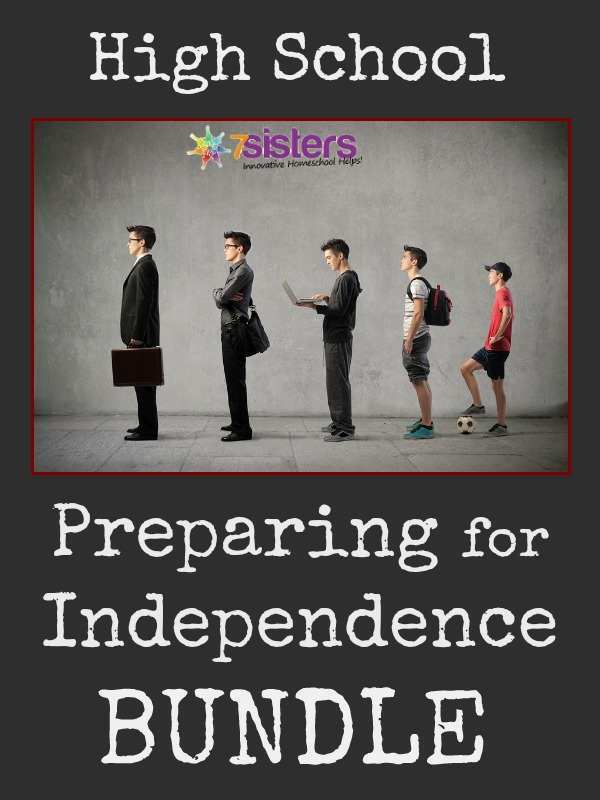 Preparing for Independence Bundle – just $44.95! PLUS links to all of the Good Answers Ministries Apologetics PowerPoint with voiceover presentations by Dr. Gerald R. Culley! NEED TO REACH US? Email info@7sistershomeschool.com.